The valley is wide, the mountains high, and exhilarating 4×4 adventures are almost limitless. 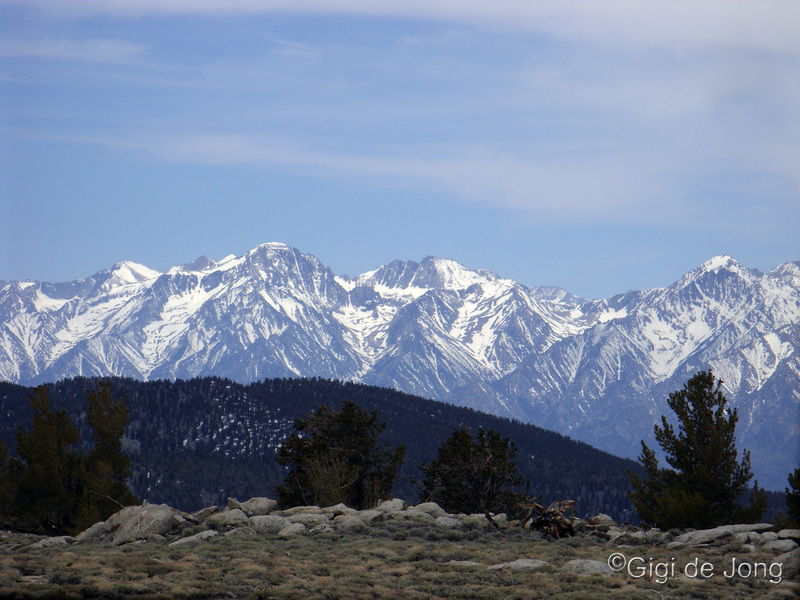 The Inyo National Forest is home to some of the nation’s most spectacular alpine scenery. A legal system of roads and trails for motorized vehicles was designated here in 2009 following many years of inventory and analysis. This included public involvement to balance the needs for recreational opportunities and to protect the unique character of our public lands. The result is an extensive network of 2,200 miles of OHV trails and roads providing access through almost one million acres of the Inyo National Forest. Of these legal routes most are double-track, native surface roads, but about 50 miles of single-track and ATV trails are interspersed throughout this network. In addition to this system many of these routes link to adjacent routes managed by the Bureau of Land Management (BLM). 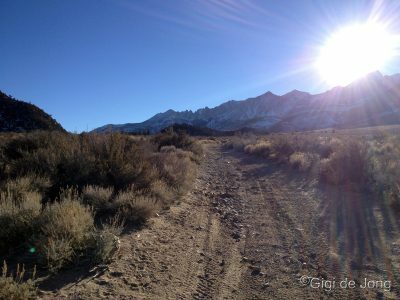 Off-road driving is a popular activity in the Eastern Sierra for both local and visiting 4×4 enthusiasts. Many travel from far afield to test their mettle (and metal) on these adventure trails and locals venture out often for fun and challenge. 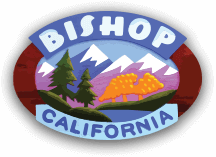 In less than 30 minutes drive from Bishop are three excellent routes that will take you up into the mountains where the air is cool, the scenery spectacular, and the rugged terrain a test for driver and vehicle. Many who visit here know the Buttermilk area is a favorite place for bouldering. The first few miles of the Buttermilk road, from the junction on California State Route 168, just 7.7 miles west of Bishop, are well traveled by climbers to access the impressive boulders and rocky outcrops. This short section of the road is wide and fairly corrugated, but beyond the climbing area it becomes less suited to two-wheel drive, low clearance vehicles and becomes the domain of the 4×4. The road bears the Forest Service designation 07S01 and is 13.1 miles long between the two points where it junctions with CA168 near Bishop and 1.4 miles from Aspendell. The route has a good assortment of obstacles and challenges at a moderate level. There are rocky sections, stream crossings, and a couple of relatively steep inclines. The road travels below overhanging tree arbors, over flat open meadows, it narrows in forested sections, and steps up over a few larger rocks. If there has been recent rain the road can be very muddy in places with large pools of standing water. There is an excellent mid point for a picnic alongside McGee Creek. A large flat area can accommodate a few vehicles and with easy turnaround space. The trees are tall and shady and the creek is cool and refreshing. Depending on the rate of flow it’s possible to find a safe eddy for a dip in the invigorating water. The route is navigable in either direction and it’s a quick drive there or back along CA168. 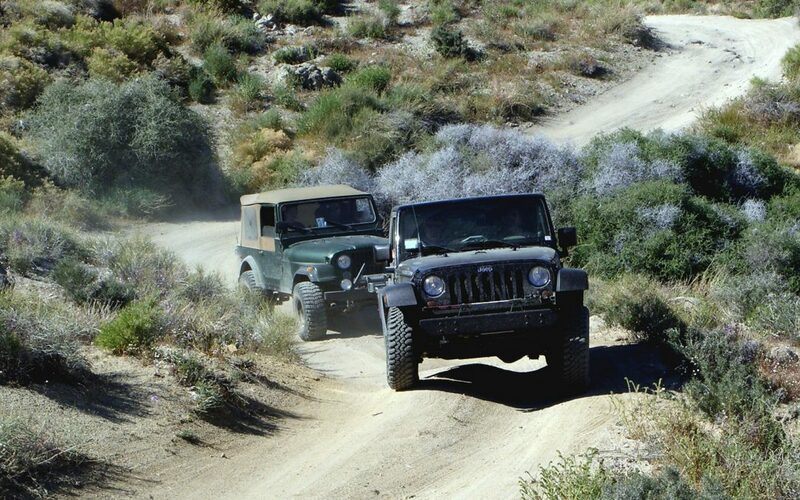 Beginning just a few miles north of Bishop is a very popular off-road route that climbs 6,500 feet in 11.5 miles. Silver Canyon Road begins in Laws on US Highway 6, 4.3 miles from the Bishop Visitor Center. Managed under the auspices of the US Forest Service this route designation 06S02 terminates just beyond White Mountain Road, which runs along the crest of the White Mountains. It is an exciting and challenging 4×4 drive up or down that requires a fairly skilled driver and well-equipped vehicle to deal with obstacles. The terrain is rugged and the surface can be dry and loose or muddy and slippery in places. The switchbacks are tight and washouts are not uncommon. The canyon walls are steep and sometimes precarious. The route runs the gamut from moderate to very difficult. The few highly technical parts may not be many, but navigating these safely can be the difference between an enjoyable off-road adventure and a frightening experience. 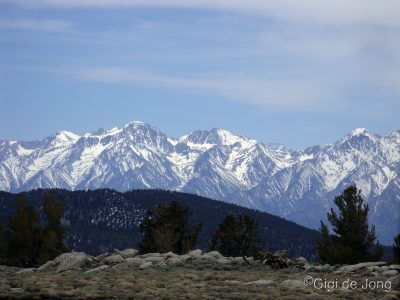 For a fun day outing drive this 4×4 route up the canyon to the junction of White Mountain road, FS04S01, turn right and travel along the graded dirt road until it becomes paved and you arrive at the Ancient Bristlecone Pine Forest Visitor Center. Stop in and absorb the wonders of this unique place and learn a little more about the fascinating world in which we live. Return back to Bishop south along White Mountain road, west on CA168, then north on US Highway 395. The entire loop is approximately 57 miles of which 15 miles is dirt that will present a fun and challenging drive. The paved drive along the crest of the White Mountains and down the canyon back to the valley floor is a lovely, winding road with spectacular views. Papoose Flat road is a wonderfully challenging 4×4 route that will put you and your vehicle to the test. Travel 15 miles south from Bishop on US Highway 395 then take the turn east onto CA168. In less than 2.5 miles turn right onto Death Valley Road and drive 11.3 miles along this quiet, scenic mountain road. A small sign indicates the turnoff for Papoose Flat on FS09S15. Keep right at the fork you arrive at almost immediately. If you choose to return via the Squaw Flat road you will be rejoin the road at this fork. Here too the road is not gnarly all the way, but the gnarly bits will be the make or break sections. The route serves up all manner of challenges from steep slopes to rocky scree to big steps and tight squeezes. It also provides magnificent views and a surprising alien looking landscape. Be cognizant of weather conditions and forecasts as summer storms build quickly up here and flash flooding is a potential risk factor. This route can be combined with the Squaw Flat road, FS36E404, to make a 25.4-mile loop. This road will also present its share of challenges and drivers are cautioned to plan this trip carefully. Make sure that all vehicles are suitable for rugged off-road terrain and safety precautions are well considered. There are wonderful campsites at regular intervals along this route. 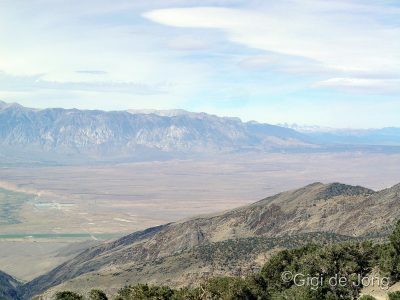 Some spots are nestled among the towering rock formations, others overlook the Owens Valley below and more make use of the shaded groves of pine forest. There is little water to be found in these mountains so be sure to carry sufficient water for all persons and animals on board. There are excellent maps available from the California Trail Users Coalition and the US Forest Services hosts an interactive travel website that is a great resource for planning off-road adventures. Local knowledge is very valuable when preparing trips into the unknown. 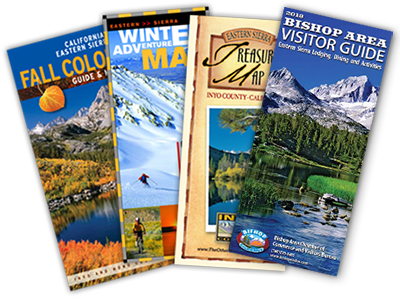 The local 4×4 club has a wealth of information and experience and our Bishop Visitor Center guides can provide maps and recommendations on when, where, what and how. As with so many of the fantastic adventures that can be had in the Eastern Sierra – be prepared! Take extra clothing, food and water on your 4×4 trip. Plan your trip and let someone know where you are going and when you expect to be back. Don’t deviate from your planned route unless absolutely necessary or you can let someone know. Cell signal is sparse or non-existent in many places so don’t count on it. There’s so much more out there to drive and explore and all it takes is a little research and planning to have a great 4×4 adventure in the Eastern Sierra.